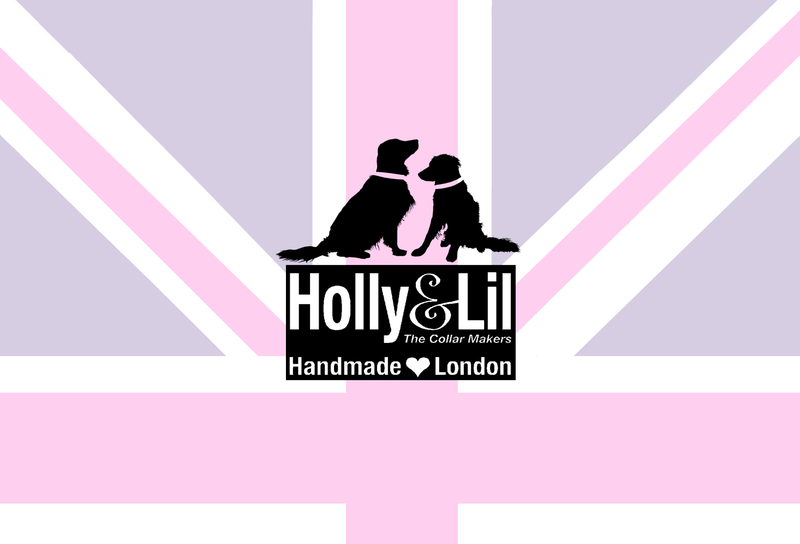 Dress as smartly as your dog! 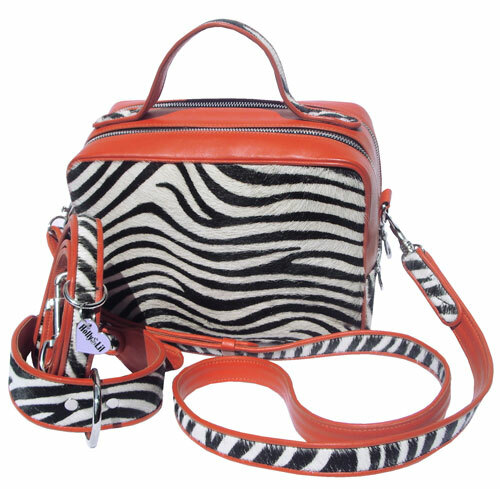 Elaine worked ages to create the perfect dog walking bag - and here it is. 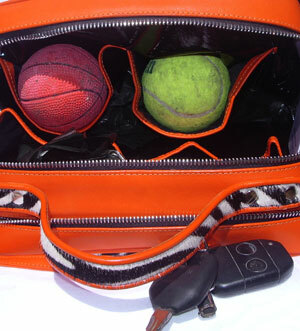 The design will appeal both to fashionistas and to more practical everyday dog walkers as well. 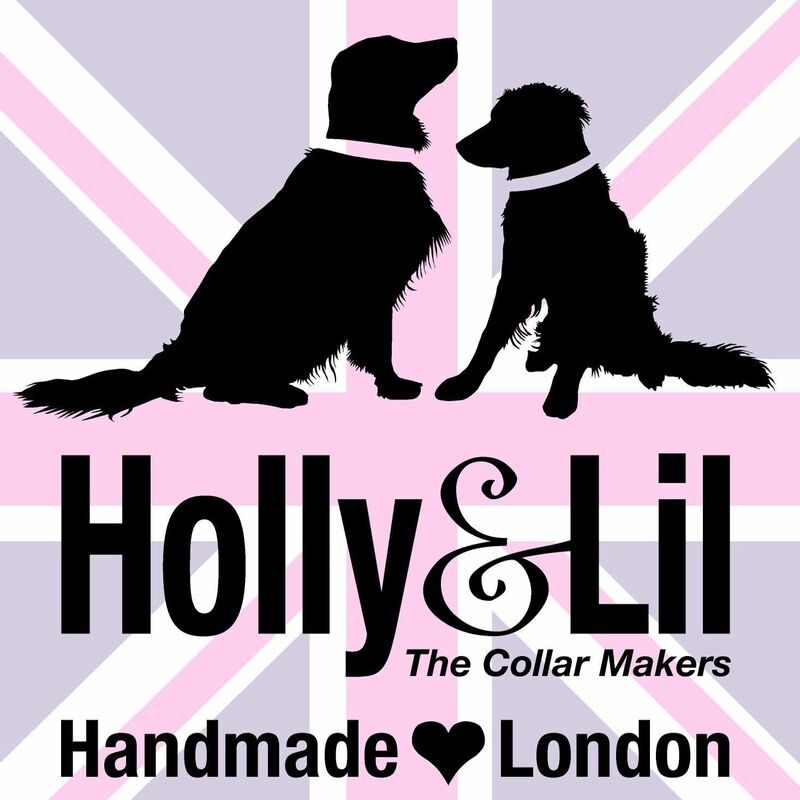 Your bag can match your dogs favourite H&L collar and is created with the same design and craftsmanship that people have admired for years with our collars and leads. The bag comes with 2 'sides'. 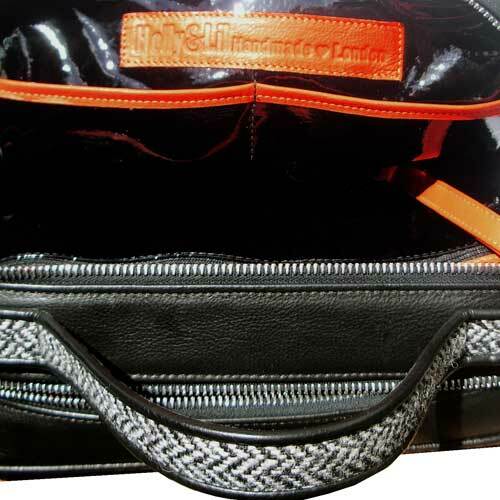 Both lined inside with black patent calf, (so easily wipeable) and trimmed with Orange - an H&L signature colour. One side is for phones, purses and an orange calf key lead. The other side has pockets for 2 dirty balls - pooh bags and wet wipes. And a small bottle of water. The unique selling point is the fabulous shoulder strap can double as a spare lead! How many times have you been out and realised, with horror, that you have lost your lead. Now you have a glamorous spare. The bottom of the bag has silver studs so it will not get filthy when you put it down. But, as with our collars it is an all weather item. 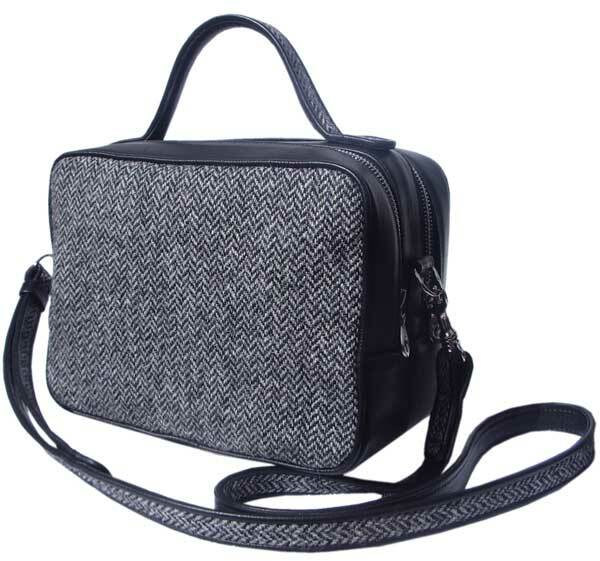 However you must decide if you want both sides to be in tweed or hair on or whatever ... or if you would like one side to be smooth calf leather? We found as these bags suffer more wear and tear than an average bag the side against you may work better if smooth calf. BUT many of you will use them as normal handbags so you may prefer both sides to match. 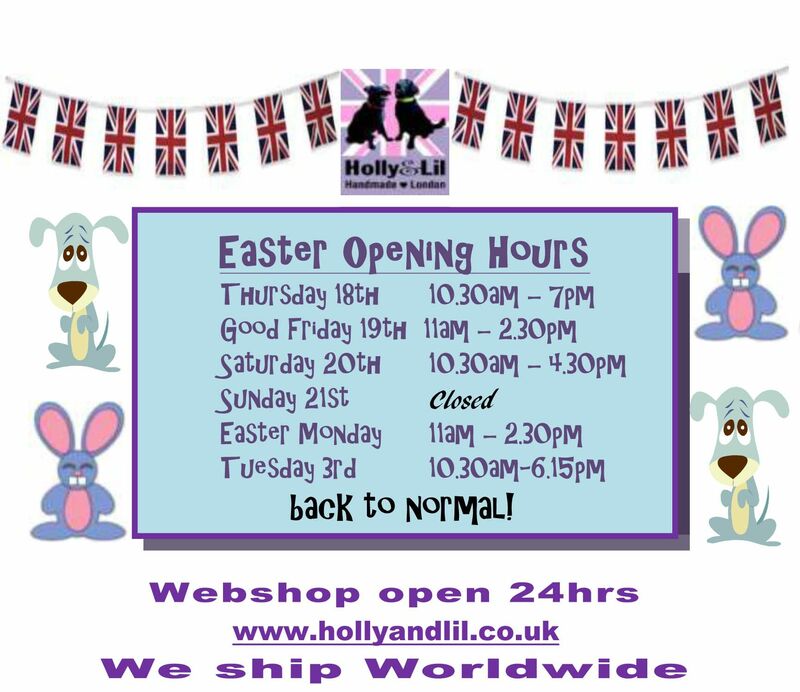 Handmade to order it will take 6-10 weeks to create and deliver and we do have a fixed amount we can produce so there will be a waiting list.